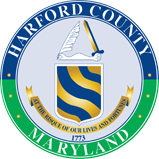 Connecting Harford County residents to healthy lifestyles where we live, work, worship, and play. Improving public health in three key areas: Behavioral Health (mental illness and drug addiction), Obesity, and Tobacco use. Creating a network of care to help keep Harford County residents with chronic illness healthy and out of the hospital. Healthy Harford/Healthy Cecil is the healthy communities initiative of Harford and Cecil Counties, dedicated to the health and wellness of the northern Chesapeake community – in mind body and spirit. Founded in 1993 as a non-profit 501c3 by leaders from UM Upper Chesapeake Health, the Harford County Health Department, and Harford County Government – Healthy Harford/Healthy Cecil is a coalition of local government agencies, businesses, non profits, and citizens dedicated to improving the health of Harford and Cecil County residents through education, policy changes, improvements in the built environment, increased access to care, and improved care coordination for people with chronic illness. ..